Southwest’s Hospitality extends not only to our Customers but to our Employees and Interns as well. It may come as no surprise that we have many family members and siblings working for Southwest. Read more to learn how Brooklyn, a spring Intern, joined her sister in working at Southwest. Southwest’s Campus Reach program is all about getting Interns involved in real work from day one, but do you ever wonder what a Southwest Intern really does? Dive into this Intern’s calendar for a glimpse into a typical week of Facilities Project Intern Russell Kyles-Flewellen. Everyone takes a unique path to Southwest Airlines, including Alex Dressler. 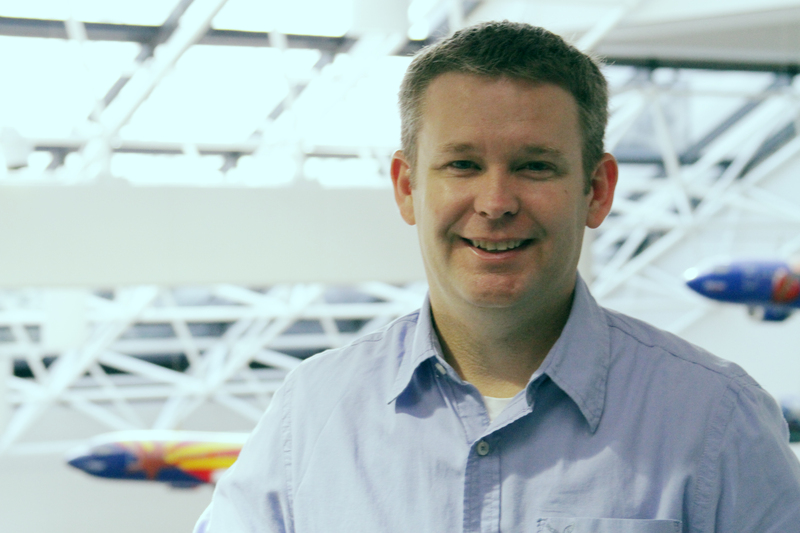 He originally heard about the Associate Software Engineer role at Southwest Airlines from his wife, a current Associate Software Engineer at Southwest. Read more to learn firsthand how he grew a career he loves at Southwest and the cool experiences he’s had along the way. We at the Southwest Airlines Campus Reach Team are often asked if our Interns are ever hired for full-time employment after their internship. The truth is, we love hiring Interns! The Campus Reach program prioritizes building a solid talent acquisition pipeline here at Southwest, so you can see many of our former Interns roaming the hallways now as full-time Employees. David Kobbe interned on the Supply Chain Management Team back in the summer of 2013 and 2014, and is now a Senior Business Analyst in Technology. Read on for more! Southwest’s Campus Reach program is all about getting Interns involved in real work from day one, but do you ever wonder what an Intern really does? Dive into this Intern’s calendar for a glimpse into a day-in-the-life of Organizational Development Intern Selyne Singh. Happy National STEM Day! The Campus Reach Team at Southwest Airlines is committed to encouraging students of all ages to realize their passions in the realm of science, technology, engineering, and math. The Team recently hosted Aviation Days in Denver and Houston, and will host the event once more in Dallas this weekend, to introduce local students in third through eighth grade to STEM careers in aviation. 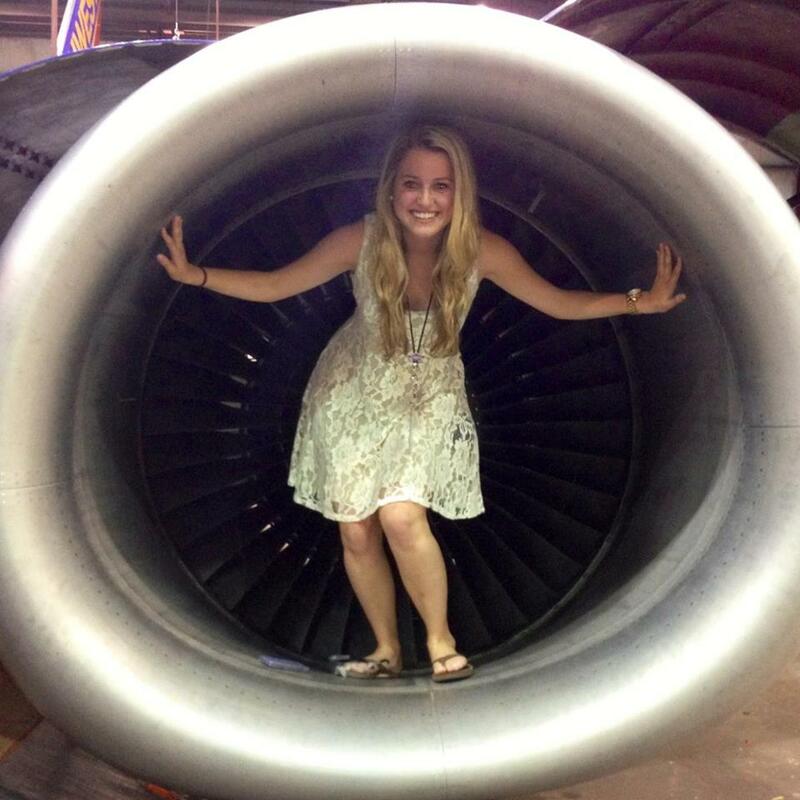 Read more to hear from Structural Mechanic Nikki Sereika, who lends her time to Aviation Days and encourages students to pursue careers in STEM. Nikalos Bray interned on the Flight Operations Procedures and Development Team back in the summer of 2013, and is now a Pilot – First Officer in Flight Operations. Read on for more! Considering an Internship with Heart? Southwest’s Campus Reach Team wants to meet you this fall! Are you a college student looking for an internship or full-time career at Southwest Airlines? If you answered “yes,” then mark your calendars, because Southwest’s Campus Reach Team would love to chat with YOU as we travel to university campuses across the country this fall. With it being National Twin Day today, it seems fitting to acknowledge this unique trend among our Intern class. Below is a quick look at some of the summer 2018 Interns with their multiples. While our siblings aren’t interning with us, all of the Interns have become a Family. People associate a number of emotions with travel; however, adrenaline isn’t typically one of those emotions—unless you’re a Southwest Airlines Intern! On Friday mornings, before I leave for work, I always pack a backpack with the essentials for travel: a swimsuit, my passport, hiking shoes, and a rain jacket. One thing I don’t have? A boarding pass or a destination! This summer, I’ve been fortunate to spend the majority of my weekends traveling with my fellow Interns. As July is Parks and Recreation Month, we’ve been especially focused on exploring as much of America’s open space and natural wonder as possible. Since 2017, GenHERation and Southwest Airlines have worked together to help inspire the next generation. GenHERation is a community where companies and young women are brought together for career development and networking opportunities—and Southwest has truly helped us bring this partnership to the next level. This summer, GenHERation partnered with Southwest Airlines to send five of our GenHERation members to Southwest Summer Camp in Dallas, where the young women experienced the legendary Southwest Culture and explored career opportunities in aviation. On May 21, Southwest Airlines welcomed 162 new Interns to the Southwest Family. As the Marketing Department Operations and Planning Intern, I am fortunate to be one of the Interns selected to participate in the Campus Reach program. Read more to learn about my first day of orientation at Southwest Airlines. Southwest’s Campus Reach Team identifies and engages future Southwest Employees at an early age to hopefully inspire an interest in a career in aviation. Recently, we had the opportunity to host a special group of students at William P. Hobby Airport in Houston after Houston ABC Channel 13’s Foti Kallergis reached out to us. Welcome to my corner at Southwest Headquarters! My name is Erin Brown and I am a Visual Communications Intern in the Communication & Outreach Department! Southwest Airlines is a Company where People work hard and play hard. This couldn’t have been more evident than in my first month as an Intern supporting the Culture Celebration Team in the Culture Services Department. The Campus Reach Team is Back on Campus! It’s time to mark your calendars! The Campus Reach Team is excited to be back on campuses this spring to meet more students like YOU. Check out the map below to see where and when the Campus Reach Team (and other Southwest Employees) will be on campus in February. We can’t wait to meet you! A few months ago, Nic Jepsen, a high school student, reached out to our CEO, Gary Kelly, to ask for roundtrip airfare to see his team’s nationally-recognized science experiment rocketed into space. At Southwest, we love to inspire students to pursue Science, Technology, Engineering, and Math (STEM) careers, and our Purpose is connecting Customers to what’s important in their lives. So, we weren’t surprised to learn Gary said yes. Our Interns are 'Nuts' About Southwest Airlines! Here at Southwest Airlines, we love to celebrate just about everything! So, in celebration of this week's National Nut Day on October 22, we polled our fall 2017 Intern class to see why they're “nuts” about Southwest Airlines.